The Standing Stone: Newtown, Fortified House, Co. Offaly. Newtown, Fortified House, Co. Offaly. Location – At the Ballybrit crossroads, N of Roscrea on the R421, go straight on (instead of following the R421 to the left) and the fortified house is about 4km further on. It is not visible from the road so bring your OS map with you. Description and History – Unfortunately a combination of bad weather, flooding and cattle kept me from getting too close to this fortified house. From what I could see and photograph it is pretty ruined, but still worth a look as every fortified house I come across is unique. 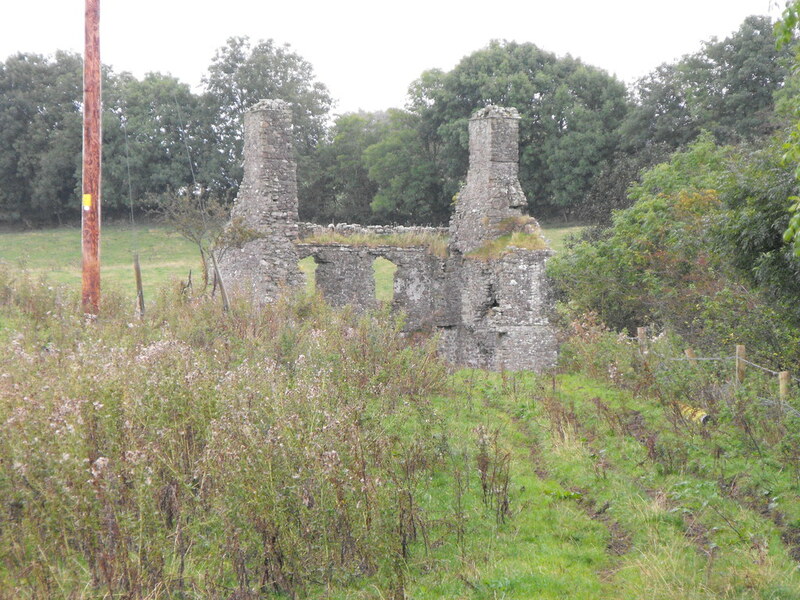 The townland was granted to Sir William Sinclaire in 1621 who built the manor here. It became the property of William Parsons in 1637 and the land was seized from Laurence Parsons in the late 17th century and it became the property of John Carroll of Clonlisk. All that remains of this house now are the two gable ends and the back wall. The house was roughly 11m x 8m. Fireplaces are still visible on the gable walls. 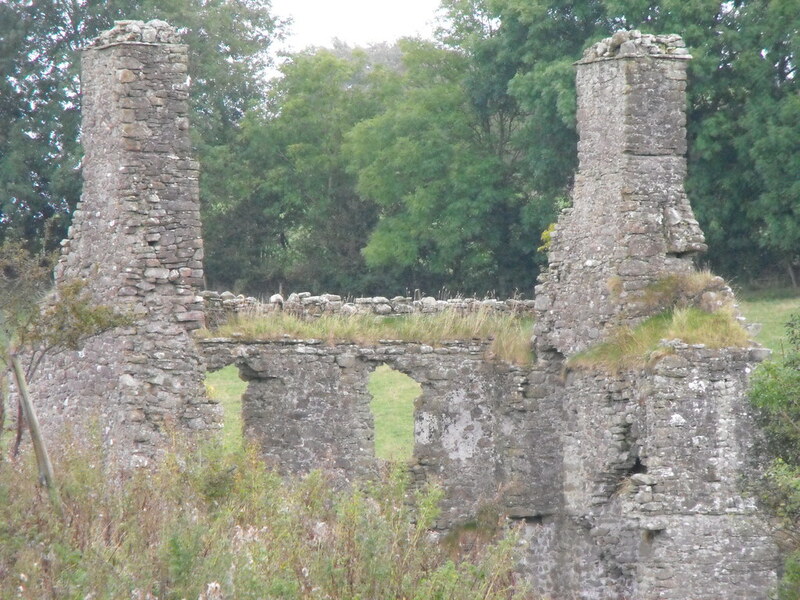 There is evidence for a wall walk on the house and the surrounding bawn is still intact in places. There is even evidence for a moat as well. This appears to have been an impressive site. Difficulty – Getting to this site depends on the recent weather. The area is very marshy and prone to flooding. It is also located in a cattle field and when I was there the field was full of very curious bullocks who immediately rushed at me when I climbed the fence. For more site in Co. Offaly, click here. That's as close as I could get.